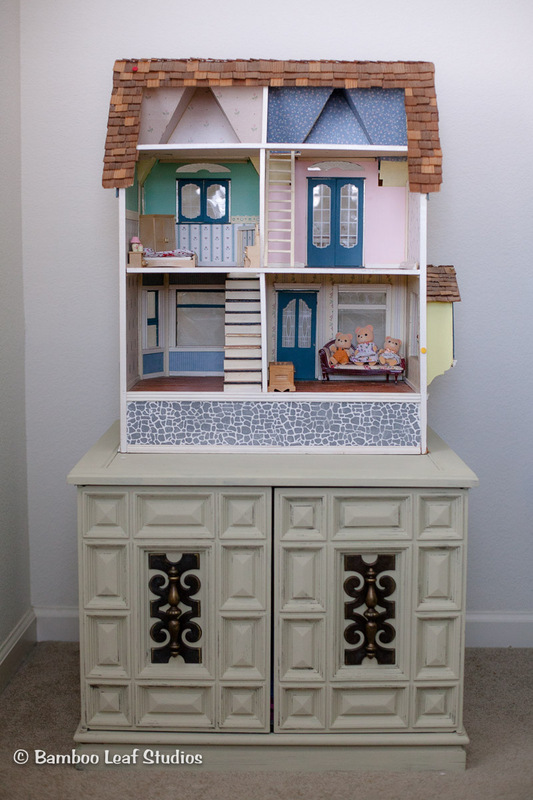 A couple weeks ago, I shared our Victorian dollhouse thrift store find. I made the decision to give it to my daughter to play with and her room didn’t have a place where she could access it easily. My cousin and I did a little thrift store hopping in search of the perfect side table to display the dollhouse. We came across an Ikea side table and plain tables with no character. We lucked out at our second stop when we came across an old side table in great condition. At first glance, I thought it was too big but my eyes kept going back to it. No damage. I’m not a craftsman so clean, undamaged pieces are perfect for me. This means no broken parts, no mold or water damage. Quality material. Is it made of real wood? I don’t mind laminate finishes, but I look for real wood pieces first. If I plan on painting, it makes my life a little easier. Character. I love looking at the details. I look for geometric shapes or ornate wood carvings. The details in the hardware also deserve an inspection. I love that that this piece is made of real wood. The table is heavy! It’s face has nice clean details. We did a quick inspection for major damage. The piece, however, was clean. There was no water damage, no major nicks and no mold or weird stuff. The price tag said $6.99. It was blue. That meant an additional 50% off. Oh hey! $3.50?! SOLD! My daughter’s room doesn’t have a dedicated theme other than “girl”. I knew that I wanted a pretty, clean look to go with the Victorian design of the dollhouse. I also did not want it competing with the dollhouse. 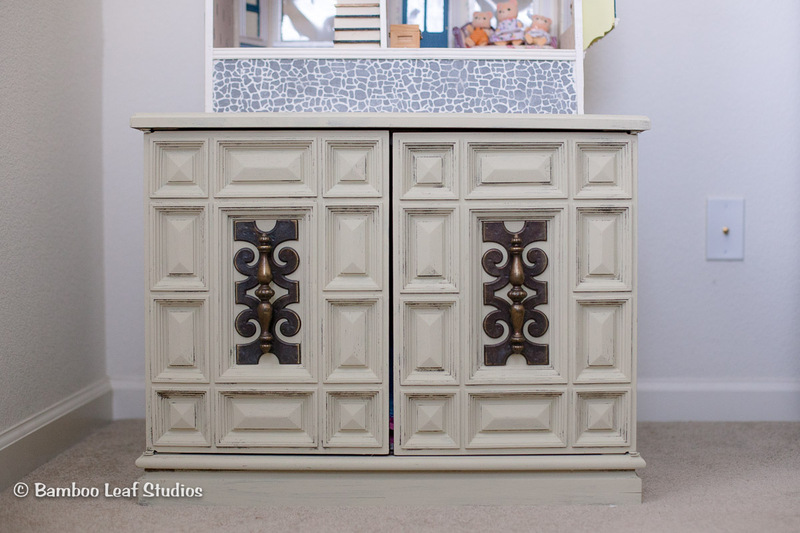 To achieve this, I went with a chalk paint in a neutral color. Sand paper: I used 240 grit to smooth out some nicks. I started by cleaning the table from grim. A scouring pad will help pull out those oils. Wipe it down with a damp cloth to remove it. The sand paper will help to smooth out the nicks and a couple of splintered areas. Be sure to wipe it down again to remove dust. You don’t want the dust to get trapped under the paint. I also removed the hardware and soaked it in warm, soapy water. Now you paint! Chalk paint has such great coverage. I was able to complete the project with just one coat. Pardon the horrid light in our garage and the phone image. As you can see, the piece is in very good condition. I love the detail on the face of the table. The depth is perfect for storing large items. The chalk paint gave great coverage so the prep work was kept to a minimum. I LOVE how this turned out. It is the perfect piece to display her dollhouse. The table also provides additional storage for her room. What projects have you completed this year? Share your photos in our comments!